This island ranks #2 of the "Best islands in Trinidad and Tobago"
Most hotels are in the capital city Port of Spain. In general, the price level is quite high, but you can find some cheap accommodation options. Fly to Trinidad International Airport (POS). 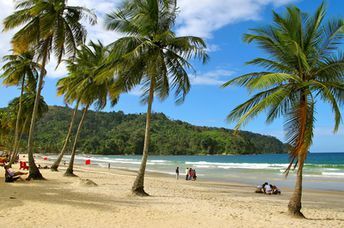 Best time to visit the island of Trinidad is a dry season from January to April.